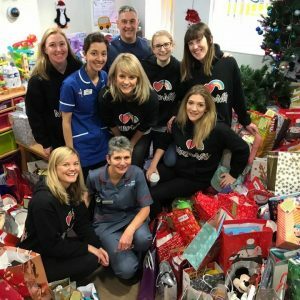 On Thursday 21 December 2017, Emma and a band of Magic of Milly helpers delivered over 350 gifts to Birmingham Children’s Hospital for distribution to the children, siblings and parents of families in the hospital over Christmas. 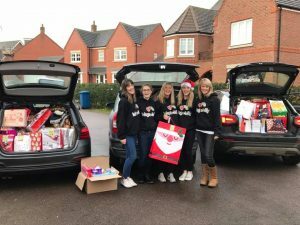 A fun, emotional and truly exceptional day started with the logistics of fitting all the presents into three estate cars – we had slightly underestimated how much room we’d need! Packed up and ready to go, we then encountered the difficulty of getting them out of the cars in the street and in to the actual hospital. 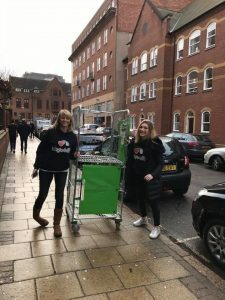 Luckily, the kind team at the local Waitrose lent us some cages and we managed to get them all onto the ward in 6 trips! 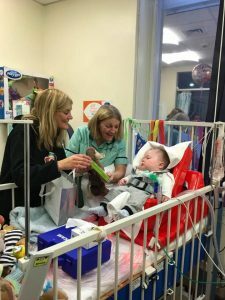 The presents safe inside, Emma and the team visited the PICU and Complex Care wards with gifts to some of the patients. The remaining 300 or so gifts were then organised into age ranges to ensure that the staff on Christmas Eve could ensure each family got the right selection of presents on Christmas Day. 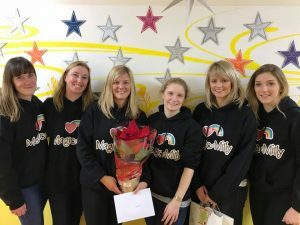 It is only with the overwhelming generosity of Milly’s friends and family that this Secret Santa was such a success, and as a result, Milly even got her own BCH star on the wall (she’s now got three!) to celebrate her Christmas giving. Thank you to everyone who donated, we can’t thank you enough for helping us to spread some Milly magic this Christmastime. Keep checking back for news on our next Milly fundraising adventure! If you would like to make a donation you can do so via our just giving page. 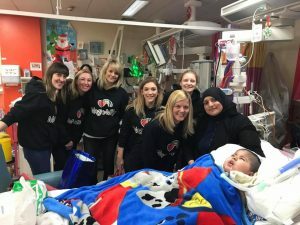 All of the money donated goes directly to the paediatric intensive care unit at Birmingham children's hospital. For further information please see our just giving page.